Published: Nov. 18, 2018 at 11:09 p.m. Published: Sept. 9, 2018 at 08:09 p.m. 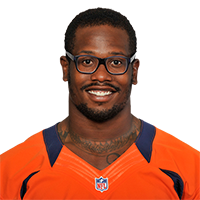 Published: Nov. 5, 2017 at 04:06 p.m.
Denver Broncos linebacker Von Miller sacks Philadelphia Eagles quarterback Nick Foles and forces a fumble. Denver Broncos linebacker Brandon Marshall scoops and scores the fumble.